Four of our P5s pupils watched Newsround and were very interested in a report about litter. They decided that they would try to make a difference and spent their lunchtime gathering up all the litter that had blown below the fences in our P5-7 playground. They got a whole black bag full. They have now asked if they can regularly look out for litter in both playgrounds. 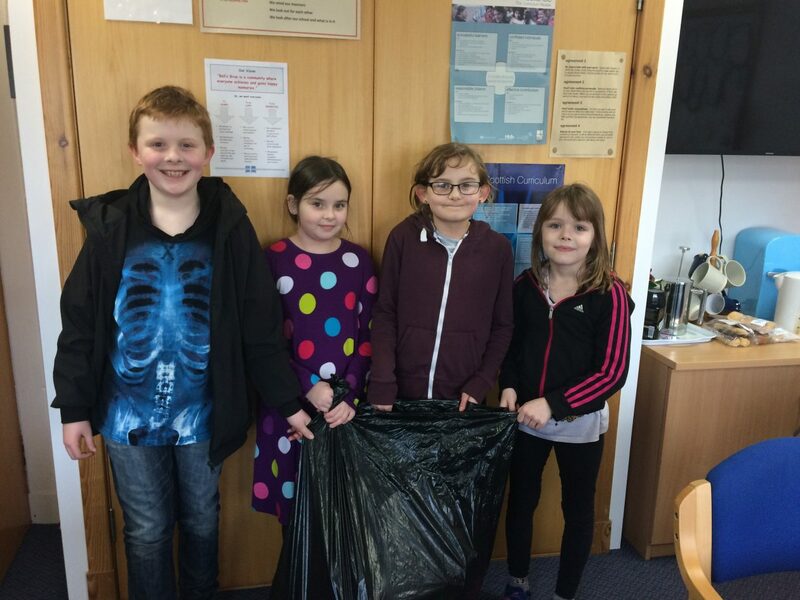 It is great to have young people who are proactive and look after the environment.